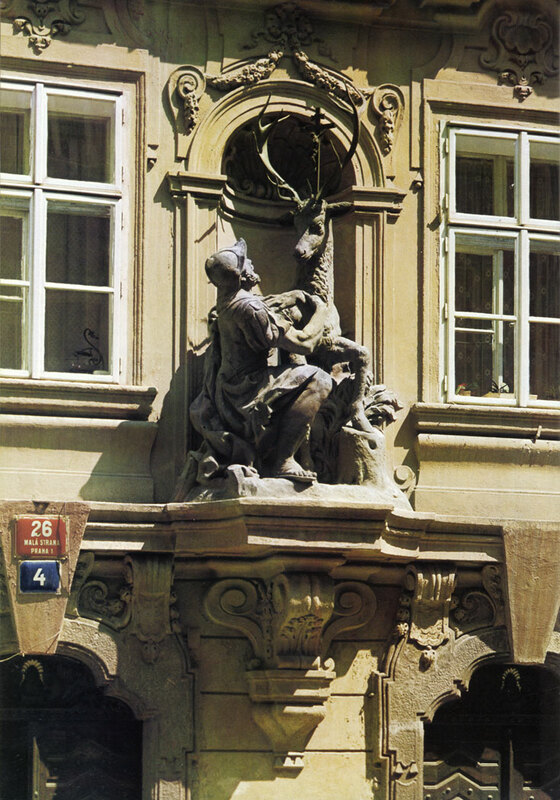 'Two great artists of Prague Baroque joined in the reconstruction of the house At the Golden Stag (dum U zlateho jelena) in Tomasska Street: architect K. I. Dienzenhofer altered the house in 1725-1726 and .sculptor Ferdinand Maxmilian Brokof made the statue of the Revelation of St. Hubert for the fagade. The old Gothic Church of St. Thomas (kostel sv. 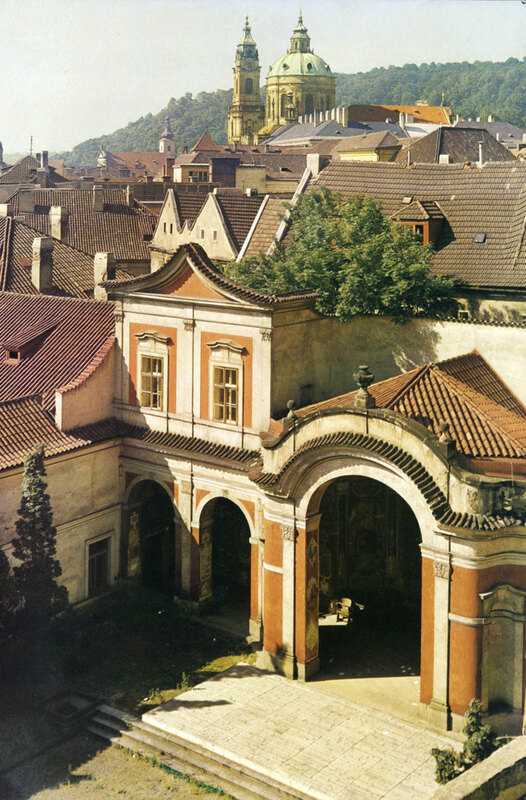 To-mase) in the Little Quarter acquired Baroque vaulting during reconstruction carriecl out in the years 1725 to 1731, which bears the mark of K. I. Dienzenhofer's typical style. 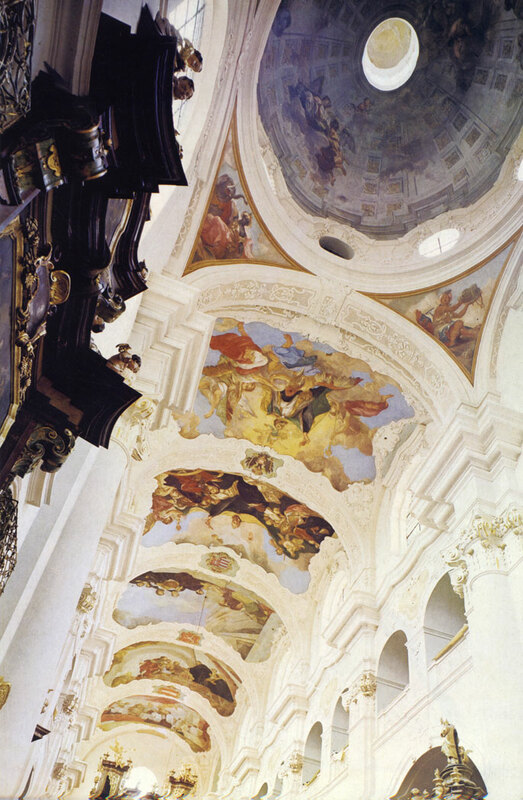 In 1730 V. V. Reiner covered the vault with a cycle of paintings with motives taken from the life of St. Augustine. Generalissimo Albrecht Wallenstein, Duke of Fried-land, had the Wallenstein Palace built in the years 1624 - 1630. The site had formerly been occupied by twenty-six houses , four garden, and the public Little Quarter lime-kiln. For that reason there was sufficent space not only for the mighty palace but also for the extensive garden, the stables and a riding school. 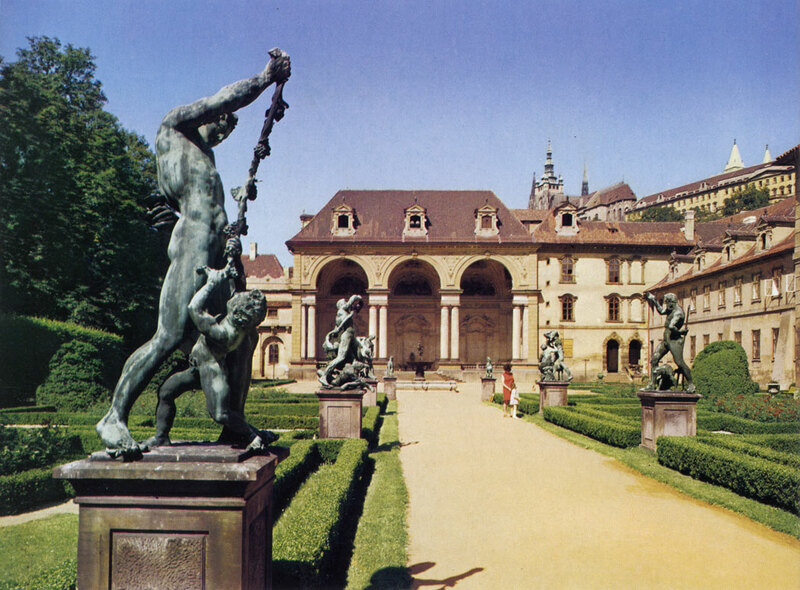 The original statues for the garden of the Wallenstein Palace were fashioned by Adrian de Vries, one of the well-known artists whom the Court of Emperor Rudolph II attracted to Prague. During the Thirty Years' War the Swedes looted the original statues and carried them off to Sweden. Only copies are to be found in the garden nowadays. 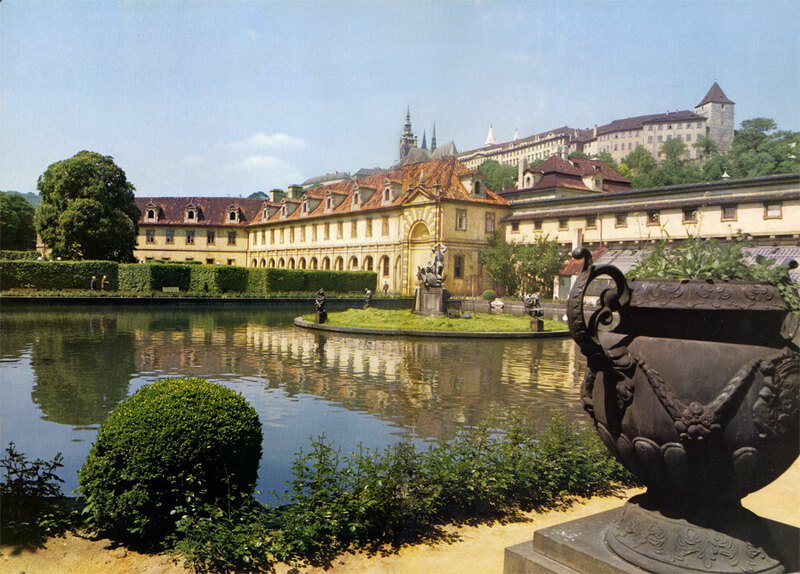 The jewel of the Wallenstein garden is its sala terrena. 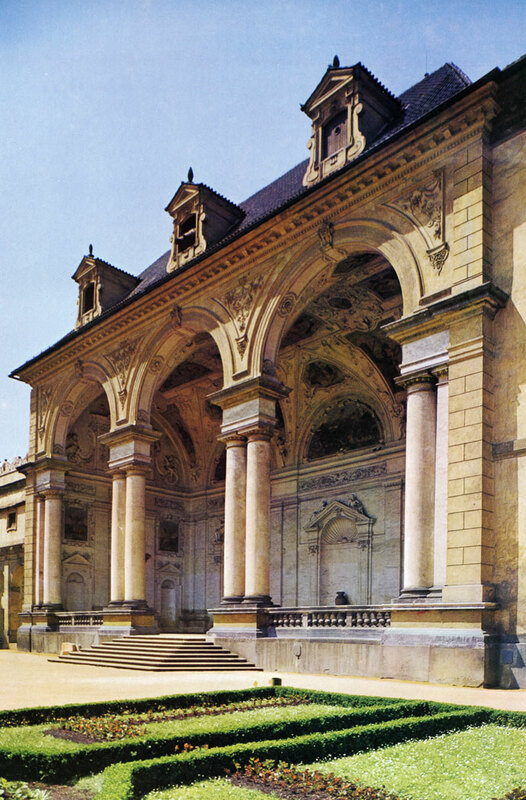 The monumental loggia was built to a design by Wallcnstein's architect Giovanni Pieroni in 1627, i. e. before the building of the palace as such had been completed. The ceiling paintings are the work of Baccio de Bianco. In 1631 Count Vrtba acquired two Little Quarter houses rebuilt as one residence partly as confiscation, partly by purchase. The layout of the garden around the house was designed by F. M. Kanka in 1720, and Matthias Braun was responsible for the garden sculptures. From the garden terrace there opens up a most remarkable view of the towers of the Little Quarter, its roofs and of the Castle. 'The Sala terrena in the Ledebour Garden was built by architect J. Santini-Aichel some time after 1720. At that time the Ledebour Palace was not in existence yet, and the garden belonged to the Trauttmansdorff House. 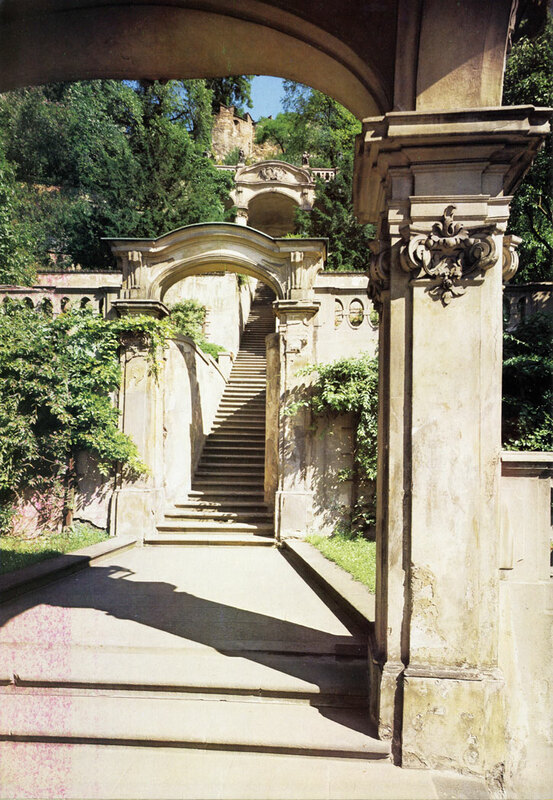 The terraces of the Kolovrat Garden were built in Rococo style by I. J. Palliardi after 1780, but not for the Kolovrat but the Cernin family, who, at that time, were the owners of the garden and the two palaces. The Late Baroque aristocratic architecture of the Kolovrat Palace, dating from 1784, is the work of I. J. Palliardi It was built for Marie Barbora Cerninova of Chudenice on the site of a house belonging to Vilem Popel of Lobkovice. 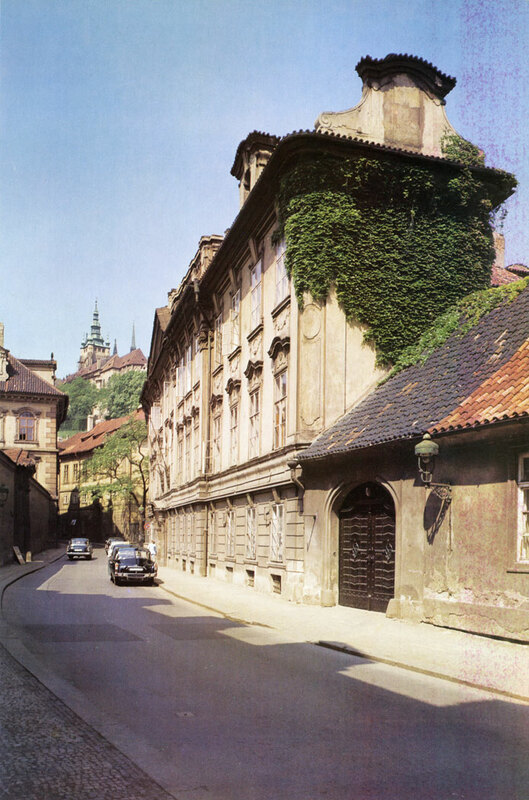 Today the Ministry of Culture of the Czech Socialist Republic has its offices in the Palace. 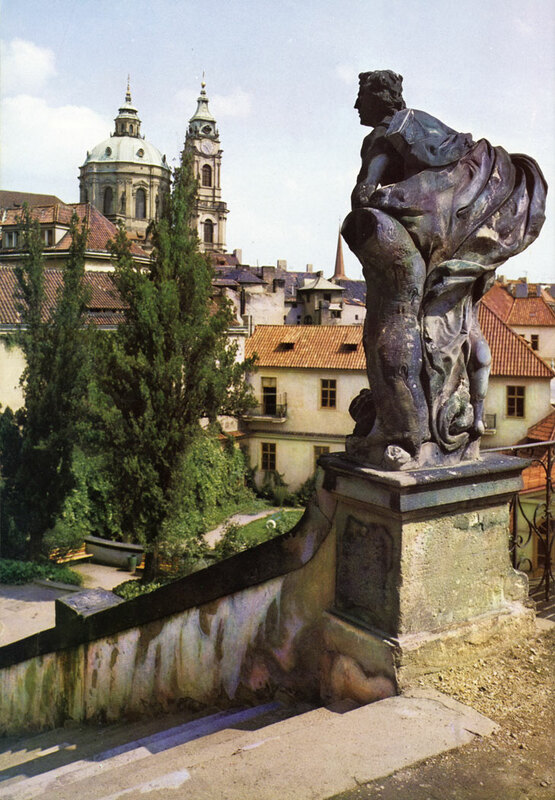 The arm of the River Vltava known as Certovka (The Devil's Stream) divides Kampa Island from the Little Quarter and lends the buildings on its banks a highly unusual character. This part of the Little Quarter Embankment is called Prague Venice. 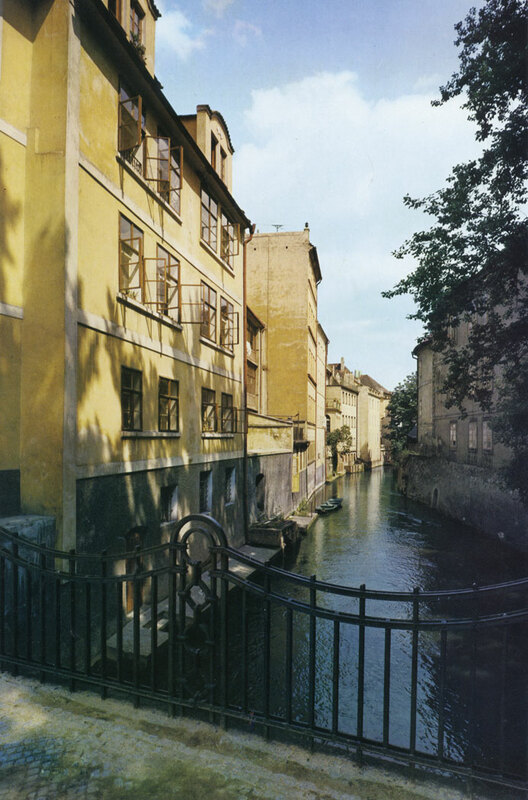 The mill, which used to belong to the Grand Priory of the Order of the Knights of Malta, is no longer in use today, but its wheel does turn from time to time in memory of the past. 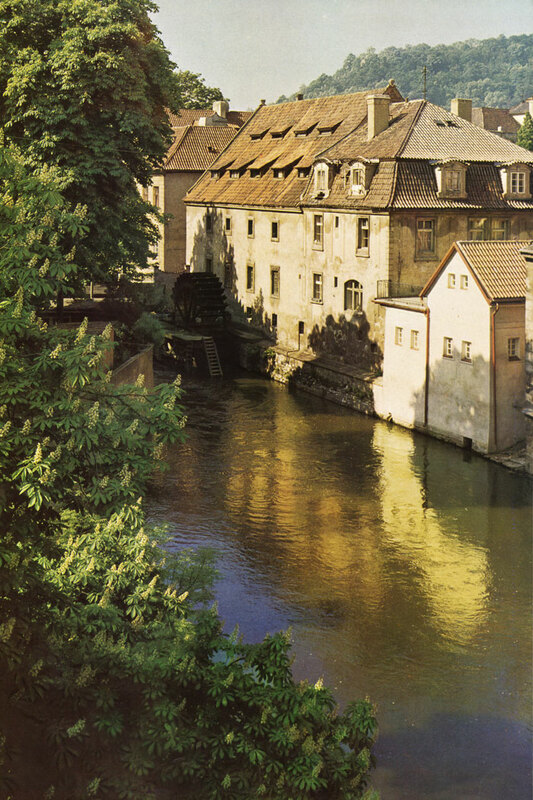 The history of the mill dates back to the fourteenth century, and it remained in operation until a fire broke out in the building in 1938.